This content is provided by Sandra van Heukelom-Verhage. 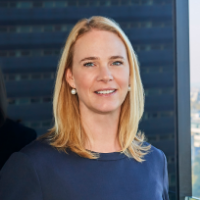 Sandra van Heukelom-Verhage is a lawyer and partner in the public law section, the new Technology, Innovation, Privacy and IP section and sector leader of the local and provincial authorities. Her additional specialisms include the law of subsidies and digital transformation. Sandra advises governmental bodies on issues of importance to them in the near future. She is known for her clear conceptual vision in the implementation of new innovative developments within government organisations. This means that Sandra is currently working on digital transformation transformation and information management within the government (cloud, big data, blockchain, open data, et cetera) in the public domain. Pels Rijcken is a member of the Dutch Blockchain Coalition, of which Sandra is the chair of the steering committee. In that capacity she wrote the ground-breaking Smart Contracts report.